The South Pacific island of Tahiti is an exotic paradise, nestled among more than 100 islands in the French Polynesia. Enjoy its cobalt seas, lush rainforests, exciting barrier reefs and legendary local welcome. Get in touch to book your dream yacht charter and experience Tahiti for yourself. 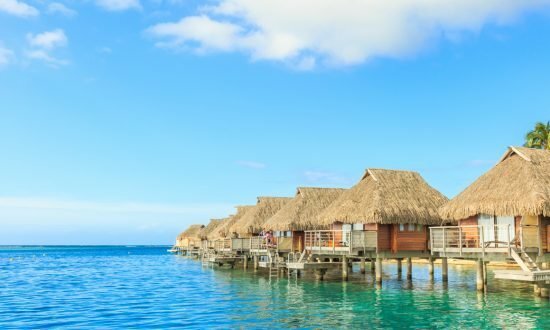 Welcome to Tahiti, which sits within a cruising ground of five groups of islands bursting with exciting marine life, emerald volcanic peaks and vivid exotic flowers. Tahiti is in the Society Islands, made up of the Windward and the Leeward Islands. 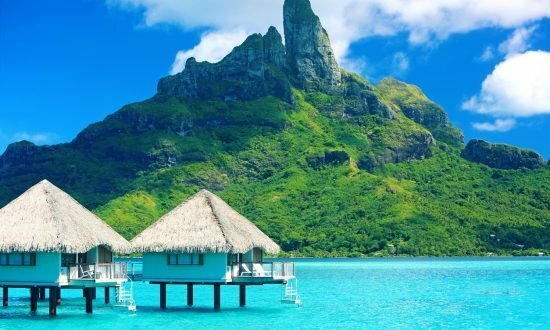 This area boasts some of the most famous, spectacular landscapes in the world, including the idyllic Bora Bora for romantics, as well as Raiatea, Tupai, Maupiti and Moorea. Sail around the ancient volcanic remains and atolls while spotting turtles, dolphins, unspoiled coral and shoals of colorful fish. There is so much to experience, such as swimming with sharks and manta rays, diving, hiking and even jeep safaris of volcanic rock faces. Fans of fine dining will enjoy the very best French cuisine with a Polynesian influence, supported by a palette from paradise. You’ll be hosted by wonderful local people warmly sharing their culture with you. 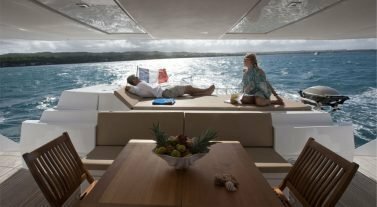 Dream Yacht Charter in Tahiti: Whether you want an all-inclusive by the cabin cruise or a bareboat charter, your dream vacation awaits. You’ll also get a friendly welcome from our knowledgeable team at our Tahiti base in Raiatea and can choose from our fleet of catamarans and monohulls. If you need help planning your charter, check out our inspirational itineraries section or get in touch with our team to find out more. Traveling around the island needs a little planning and you’ll need a car or scooter, or arrange transport. There are a few rental firms on the island but compare prices. We can help you arrange a transfer for the short distance between the airport and our base. Temperatures in Tahiti tend to be dry and cooler (averaging 24ºC) May to November with the driest months between June and August. It is warmer and rainier December to April. February tends to be the hottest month, while December and January have cooling showers to counter the sun’s heat. 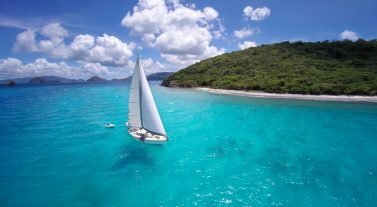 The sailing conditions in the Leeward Islands benefit from a south-easterly wind of between 15 and 20 knots and the Maraamu wind between June and August of 25 and 35 knots. You need a special waiver to navigate Tuamotu Archipelago and authorization for night navigation. Day 1: After orientation at Marina Uturoa, Raiatea, set sail for the east side of Taha’a. Head for amazing diving at the coral reef or head onto the Passe Toahotu. Overnight and eat onboard. Day 2: Sail five or six hours to Avamoa Pass, Huahine. Make sure you visit Fare, a typical friendly Polynesian village with some boutiques and small restaurants. Day 3: Cruise along the sandy coastline to Avea Bay, then sail to the Huahine Lagoon. This is a tranquil area, with a well protected anchorage, which should give a weary crew a restful night’s sleep. Day 4: You can’t visit the area without going to the Anapa Pearl Farm, Raiatea. Call to reserve a tour, then moor at the farm. Take your dinner aboard and prepare to sail back to base. Day 1: Get to know, Raiatea, the heart of Polynesian culture. Then focus on resting by eating dinner on board as your Tahitian adventure is just beginning! Day 2: Head to the Anapa Pearl Farm with its pearl divers, rare aquatic reserve and coral garden. Make a tour reservation, then take a mooring at the farm and learn all about pearls. Afterwards, explore the lagoon or hike through the rainforest to spot Tiare Apetahi, a very rare flower. Day 3: Anchor at Motu Toopua on Bora Bora and enjoy swimming and snorkeling. Take a mooring at the Bloody Mary’s restaurant and marvel at their huge list of famous guests. Day 4: Sail to the east side of the lagoon, where you can swim with turtles, rays, sharks and fish. In the afternoon, sail the southern shore of the island and explore the magnificent coral reef. Day 5: Sail to the east side of Taha’a and explore the amazing coral reef or Passe Toahotu. Stay onboard for dinner and get a decent night’s sleep. Day 6: Sail to Huahine and visit Fare, where you will find a warm local welcome in this Polynesian village. Browse the boutiques and get a bite to eat in the small restaurants. Day 7: Cruise to Avea Bay, then sail to Huahine Lagoon, with deep clear waters and gleaming white sand. The anchorage in this bay is very well-protected and should provide a restful night. Day 8: Sail downwind to Raiatea, dine ashore and sail back to base. Day 1: Sail from the base to Motu Mahaea, Taha’a for a spot of reef exploration and swimming in clear azure waters. Spend the night at Ha’amene Bay, anchoring north east of the small village. Take a dinghy to restaurant Tahaa Maitai. Book in advance. Day 2: Head 22 nm to Bora Bora with a fast downwind passage. Anchor west of the Motu Toopua, swim and snorkel before mooring at the Bloody Mary’s. Great restaurant. Refill water at the dock. Day 3: Explore the lagoon and sail to the east side of the Bora Bora lagoon with its many spots for anchor. Visit the Lagoonarium and swim with the rays, sharks, and turtles. Day 4: Head back to Raiatea. Make sure you start very early for a long passage to Hurepiti Bay Taha’a. Book a tour for an excursion in the Taha’a mountain and for a mooring buoy. Overnight on the mooring and dine onboard. Day 5: After breakfast, hike Taha’a mountain and sail to the Anapa Pearl Farm. Overnight at the mooring. Day 6: Snorkel on the reef around the boat. Tour the pearl farm to learn about why the region is famous for pearls. Sail to Taha’a east coast and stop at the Vahine Island resort. Moor overnight and dine at the excellent restaurant. Day 7: Sail to Huahine and anchor in Fare, a typical small village. Amble around the boutiques, bar and restaurants on the sea front. Refill water at the dock. 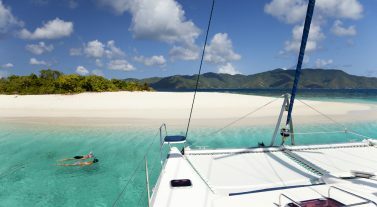 Day 8: Sail to the south and anchor in the beautiful bay of Avea, where there is fantastic snorkeling on the coral heads. The shore is great for a relaxing walk among beautiful scenery. Dine at the restaurants on the beach. Day 9: Passage Huahine- Raiatea downwind, where you’ll find good fishing for tuna or mahi mahi. Enter the Irihu Pass and take a mooring in the Faaroa Bay. Day 10: Head back to base. Day 1: Spend your first day in Raiatea, also known as “faraway heaven”, and get to know the local area and your boat. Day 2: The region is famous for its pearls so make sure you visit Anapa Pearl Farm to learn about them. Make a reservation for a tour, moor at the farm and explore. Day 3: Cruise to Bora Bora and anchor at Motu Toopua to swim and snorkel in some of the best waters in Polynesia. For food, moor at the Bloody Mary’s restaurant where you may spot a celebrity or two. Day 4: Sail at sunrise to Raiatea, the second largest of the Society Islands. Take time to relax, explore the lagoon, hike through the rainforest, take a jeep safari and look for Tiare Apetahi, a very rare flower. Day 5: Head for the east side of Taha’a to snorkel in sun sparkling waters at the coral reef, or in the Passe Toahotu. Day 6: Make your way to Huahine, which is quieter than Bora Bora and Moorea. Visit the main town of Fare, which has some boutiques and small restaurants. Or, you can visit its Sunday outdoor market, which is known for its fruit. Day 7: Travel to Avea Bay, then sail along the Huahine Lagoon with a wonderful backdrop of emerald green vegetation. The well protected anchorage here will provide a restful sleep for the crew. Day 8: Cruise back to Raiatea to explore the lush rainforest and sparkling lagoon. Dine aboard and rest for an early morning sail. Day 9: Head to Moorea, a key destination for snorkeling, fishing, swimming, and paddle-boarding. On shore, discover the well-kept hiking trails and get to know the local flora and fauna. Whales and dolphins are abundant here, so book a whale-watching tour or a meet-and-greet with some playful porpoises. 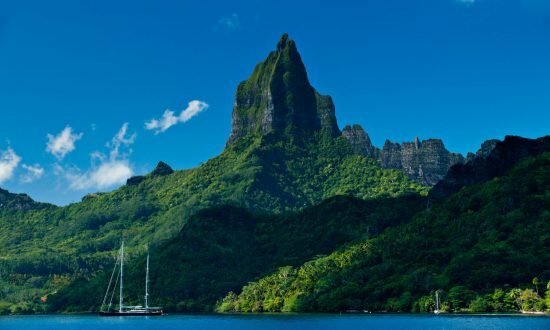 Day 10: Sail to Tahiti, Queen of the Pacific, and the largest island in the French Polynesia. Marvel at the landscape, which is dominated by extinct volcanoes. Day 1: Head from Raiatea to the Motu Mahaea, Taha’a, for reef snorkeling and swimming. Overnight at Ha’amene Bay with dinner at the Tahaa Maitai (make an advance reservation). Day 2: Sail 25 nm to Huahine with a stopover at the main town of Fare. Meet the friendly locals and browse the shops and restaurants on the sea front. Refill water at the dock. Day 3: Sail south and anchor in the beautiful bay of Avea for superb snorkeling among the colorful coral. Here you can swim with the manta rays along the sand edge or walk along the east side of the cape. Dine at Relais Mahana. Day 4: Passage Huahine- Raiatea downwind, where you’ll find good fishing for tuna or mahi mahi. Enter the Irihu Pass and take a mooring in the Fa’aroa Bay. Day 5: Take the kayaks or dinghy along the mangrove river (no engine allowed) and visit the botanical garden beyond the wooden dock. Sail to Hotopuu Bay for a stopover at Taputapuatea Marae, the most important religious site in the Polynesia. Overnight at Motu Nao Nao. Day 6: Sail to the Punaeroa Pass for a downwind passage to Bora Bora and anchor on the west side of Motu Toopua. Day 7: Sail to the east side of the Bora Bora lagoon where you have plenty of anchorage choices. Swim with rays, sharks, and turtles at the protected Lagoonarium. Dine with a BBQ onboard. Day 8: Head back to the west of the lagoon and moor for dinner at the famous Bloody Mary’s where you may spot some celebrities! Refill water on the dock. Day 9: Day sail to Tupai, a deserted atoll, to enjoy a spot of fishing. Head back to Motu Toopua for the night. Day 10: Passage for Maupiti, a small coral atoll. Check the condition of the pass as conditions may be too rough. Postpone or take the ferry for a day visit to Maupiti. Day 11: Visit the island, walk around the shore and snorkel the reef. Dine at Tarona, overlooking the lagoon. Day 12: Sail to Bora Bora, mooring at Bora Bora Yacht Club. Refill water and have dinner ashore. Day 13: Sail to Taha’a. Call ahead for a mooring buoy in the Hurepiti Bay and book a tour (Tel: 65 62 46 VHF 9) or anchor in the bay. Overnight on the mooring and have dinner aboard. Day 14: After breakfast, head back to base at Raiatea. Stopover at the fuel station at the entrance of the marina for fuel and diesel refill, then call the base for docking assistance. At our base in Marina Uturoa, Raiatea, our Base Manager will happily welcome you on arrival. The Maupiti Pass can close regularly due to heavy swell so call our base a day in advance to check when on a stopover or returning. 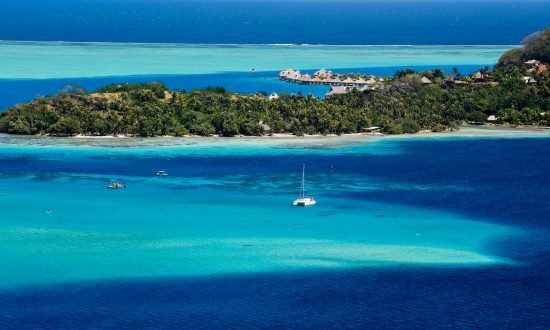 The base also offers the best provisioning options compared to Bora Bora and Tahaa. Fly direct to Tahiti via the international airport in Papeete, the capital of Tahiti. 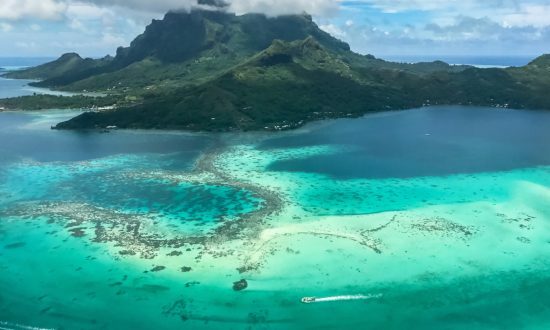 Internal flights between Papeete and Raiatea are with Air Tahiti. We can arrange airport transfers on request and the base is close to the airport and 500 m from Uturoa, the capital of the Leeward Islands. Make sure your passport is in date and valid for the duration of your stay and look under our Handy Info section for visa advice! Area code from abroad is 00 + country code + 11 digit phone number or for local calls 00 + Polynesia area code (689) + 8 digits. You can rent mobiles at our base.